For the last year or so, I’ve been working with colleagues at the National Association for Media Literacy Education to develop connections to media literacy education principles and Common Core state standards (CCSS). We focused on the ELA standards, and some of my current work has been trying to map MLE to other standards strands. 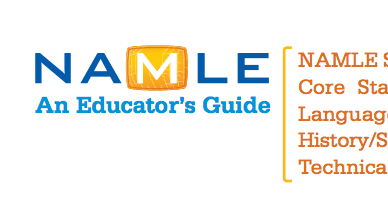 (1) NAMLE has a formal MLE & Common Core document designed for teacher use, that I highly recommend for educators. (2) I adapted the NAMLE document for youth media educators in the re-launched Youth Media Reporter, making a few connections relevant to the youth media community. (3) Theresa Redmond and I co-wrote a piece for Voices from the Middle that frames CCSS and MLE for middle level educators, and were also interviewed for a podcast.